An effective treatment for diabetes has been one of the top priorities of scientists from all over the world. The number of people diagnosed with diabetes has risen from approximately 100 million in 1980 to more than 400 million in 2014. The way in which the immune system affects the beta islet cells of the pancreas that produce insulin in type 1 diabetes is now well understood. On the other hand, type 2 diabetes is mainly caused by improper diet and a sedentary lifestyle. If diabetes is not controlled, it can lead to permanent blindness, kidney failure, heart diseases, stroke and even amputation of lower limbs in some cases. In recent years, stem cell research is being explored for understanding the mechanism and treatment for type 1 diabetes. Stem cells are the mother cells of the human body that have the ability to infinitely divide and differentiate into many different types of tissues. Stem cells can differentiate and replace the non-functioning beta islet cells in the pancreas to functioning cells that produce insulin. Stem cells can potentially also replace cells that have lost the ability to recognise insulin and intake glucose for energy production. Furthermore, in type 1 diabetes, the body’s immune system attacks the beta cells, so the patient must take immune-suppressant drugs to prevent further damage to his body. However, stem cells are also known to have immunomodulatory functions and reduce inflammatory reaction. Therefore, stem cells transplanted to the patients have the potential to control type 1 diabetes. The process of diabetes type 1 and type 2 stem cell treatment at Advancells is very thorough and precise. The treatment starts with background routine tests to check the patients’ overall health condition and parameters before the treatment can be started. The patient is then subjected to consultation to get a family history of any ailments as well as consultation to educate the patient about the cell therapy procedure, its underlying principles and the procedure. Consultants and physicians take utmost care to make sure that the patient is made comfortable before undergoing the procedure. During the treatment, the expert team of clinicians and researchers working harmoniously during the extraction procedure and transplantation surgery. Patients are then given follow-up check-ups under closely. The clinical trial’s results conducted in Delhi NCR at Advancells have been extremely encouraging for stem cell-based therapy for diabetes. A preliminary stem cell treatment trial was conducted at Advancells in India for treating type 1 and type 2 diabetes. 131 patients were treated with autologous stem cells and evaluated post-treatment for blood glucose level, diabetes-associated neuropathic symptoms and HbA1c levels. Out of 53 patients with type 1 diabetes, 23 patients reported improvement in blood glucose levels and reduction in hyperglycaemia. The other 30 patients showed decreased HbA1c values in three to six months post-treatment. On the other hand, out of 78 patients with type 2 diabetes, 30 patients showed stable blood glucose levels, less diabetes-associated neuropathic symptoms, less numbness and more responsiveness in the legs. The remaining 48 patients showed diminution in HbA1c levels in six months or more post-treatment, which confirmed the longevity of the stem cell treatment method. No side-effects or any negative effects were observed in the patients. The above clinical trial results appear very optimistic and encouraging for millions of diabetic patients around the world. More such clinical trials can confirm the positive effect of stem cell therapy for diabetes. 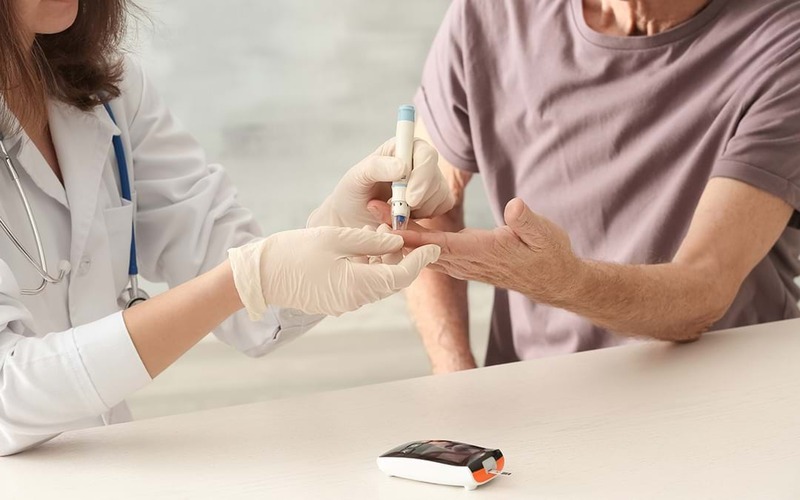 The prevalence of diabetes is becoming more and more prevalent and fortunately, India is experiencing a revolution in the sector of modernized healthcare and affordable treatments. Institutions like Advancells are at the forefront of stem-cell-therapy for curing several untreatable conditions like diabetes. MSC-based regenerative medicine is set to restore the faith of those patients who not only believe in science but also give themselves another chance to recover and lead a healthy life. Don’t miss this Free Webinar (Diabetes Awareness Webinar) session on 17th March 2018. register yourself.